It’s a frightening thing to realize that despite spending years in one place, despite working hard over decades to make your house a home, despite being dutifully on time with property taxes and mortgage payments, someone could rip your home away to build a pipeline. 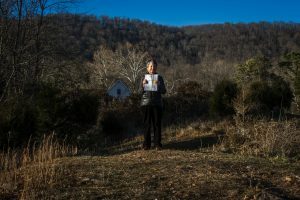 RVA Mag traveled to Giles County, Virginia to document the lives and stories of some of the people most affected by the proposed Mountain Valley Pipeline (MVP). 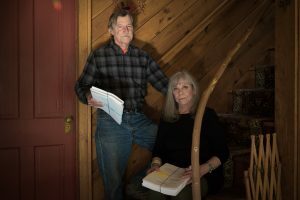 David and Karen Yolton have spent the last 50 years turning a little pony barn into the loving home of a teacher and a retired land surveyor. Georgia Haverty, a single mother, has spent 40 years converting her 400 acres of farmland into four lucrative businesses with her daughter, including selling beef cattle and creating a wedding venue. Don Jones and his family have worked and tilled the same farmland in Giles County for ten generations. They are all at risk of losing their homes, trees, land, water, and livelihoods to this pipeline. 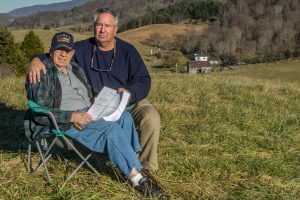 The Mountain Valley Pipeline, LLC sued over 300 landowners throughout Virginia’s Appalachian region three weeks ago. 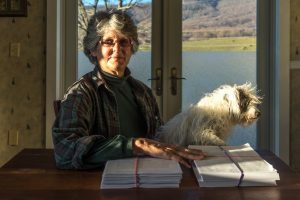 The majority of these landowners are represented by lawyers, and several are plaintiffs in a separate lawsuit filed by Bold Alliance against MVP, Atlantic Coast Pipeline, LLC (ACP), and the Federal Energy Regulatory Commission (FERC). Fern and Earl Echols, 77 and 81 respectively, have also lived in their Giles County home for nearly 50 years. Their six grandchildren and six great-grandchildren pile into the house every year to spend the holidays with their maw-maw. Fern has been taking care of her husband for over 30 years, who suffers from pancreatic complications. The proposed pipeline and proposed pipeline service road will frame their property and come so close to their small home that MVP has asked them to relocate during the construction period. 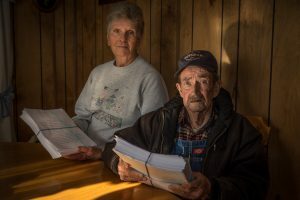 Karolyn Givens, whose late husband’s family farm is in the path of the pipeline, was served a stack of nearly 200 pages along with the other 300 landowners in the area. She came home to two court issued stacks of paper duct taped to her front door for both herself and her deceased husband of one month. These companies not only have resorted to a base attempt at legal attrition, but according to Givens, they are guilty of inappropriately distributing court summons. The proposed project is a 42-inch-wide natural gas pipeline that will stretch 303 miles from northwestern West Virginia to southern Virginia, crossing through the mountainous Appalachian region that includes the George Washington National Forest and the Blue Ridge Mountain range. 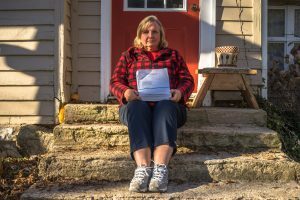 The path comes within 50 feet of many of these landowners’ personal homes, which will not only disrupt their property but has the potential to create high-risk areas for rupture, according to many landowners. Carolyn Elefant, the lawyer for Bold Alliance representing landowners in their fight against MVP, ACP, and FERC predicts that because of the complicated nature of the case, it will likely go to the Supreme Court. In addition to the constitutionality of a private corporation using eminent domain, several other new legal issues are introduced, such as the environmental impact inflicted by this project. A case like this moving from the appeals court to the Supreme Court could set an important precedent for other unwanted pipeline projects, such as the Dakota Access Pipeline (DAP). In 2016, protests against DAP at the Standing Rock Indian Reservation stressed the outrage native peoples felt against the pipeline, which threatened their drinking water and ancient burial grounds. Although the MVP does not disrupt Native American land, this proposed pipeline is projected to deface the Newport Historic District in Giles County, Virginia. Historic properties that have been part of this small corner of Virginia will be plowed through like garbage. The population in Giles County is just over 16,000. The population of the Standing Rock Reservation is just over 8,000. In Nelson County, where the ACP will run, it’s just under 15,000. These companies have continually targeted populations they believe won’t fight back: Native American reservations, rural Appalachia, Native American harvest grounds, and rural farmlands. These are small, agrarian counties and communities that feel ignored by their political representatives and don’t appear to have the necessary manpower to fight back. However, nearly all 300 landowners have personal legal representation as well as multiple lawsuits against these companies. MVP may be getting more than they bargained for.